Melanoma kills 1 Australian every 6 hours. It is our country's deadliest skin cancer but, ironically, one of the easiest to treat. Survival rates can top 98% when detected early. Researchers were already using IBM Watson to help improve detection accuracy. But they needed data. So we called on everyday Australians to donate images of their moles and their melanoma survival stories. By social media. And by meeting Watson face-to-face. IBM Researchers are incredibly inspiring people. Joanna Batstone was running the IBM Research labs in Melbourne in 2017. They had, in partnership with MoleMap Australia, started researching melanoma. The moment we found out Joanna and her team could use our help we couldn’t say “No." Our major concern was: “Would Australians actually engage with Artificial Intelligence?” IBM is a brand which, since selling their laptop business in 2004, most people simply don’t realise they engage with. Yet here we were asking for their help. How did we get past it? It took a leap of faith from all involved—agency, clients, researchers, everyone. We had to all keep believing Australians would believe in the cause, right up until launch day. And they did. We didn’t expect to save a life—at least not immediately. Our intention was to add to Watson’s knowledge and, by improving detection, save lives. But, during our Bondi Beach event, Ian Kelsal (a healthy young man who hadn’t felt the need to have a skin check), met Watson and, just a few weeks later, had a suspicious mole removed. The data we generated went beyond our expectations. Researchers can now access even more images of mole variations—both healthy and suspect—and a huge range of survival stories. And, with the help of IBM Watson, putting the results into the hands of clinicians is now closer than ever. Not strictly an “a-ha” moment but the most emotional moment in this entire project was when we first flicked the switch on the Watson Smart Mirror. And that it worked. That’s when it all came together. Our Creative Technologist stood in front of it and engaged with Watson in a truly human way. He’s still smiling. Absolutely crucial. The mistake many technology companies make is they try to bend people to suit the tech. We didn’t. In order to get everyday Australians to interact with one of the most sophisticated pieces of technology on the planet we chose the most human of all items. A mirror. It required no explanation. 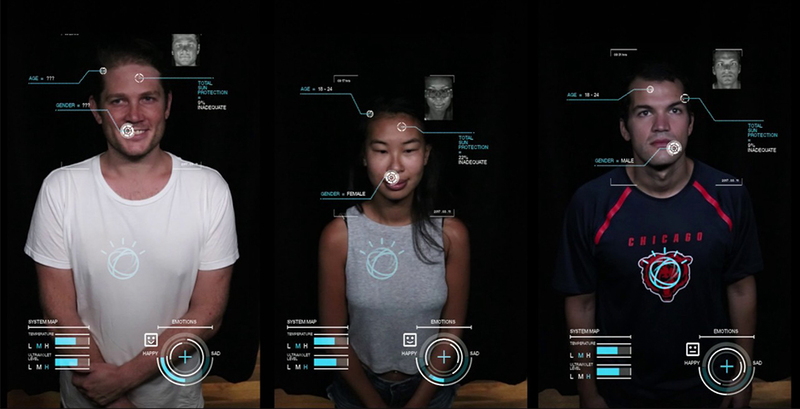 From their biometric data and their emotional responses, people could naturally interact with Watson. It was a simple demonstration of how man and machine will potentially collaborate in future health care and research. Our single biggest challenge was the “Hollywood” perception many people have of AI. The perception that machines will take over the world in some kind of Matrix, Terminator, apocalyptic hybrid. So we had to be very clear that Watson isn’t independent. Watson only works where researchers, i.e. people, work hand in hand with the technology.